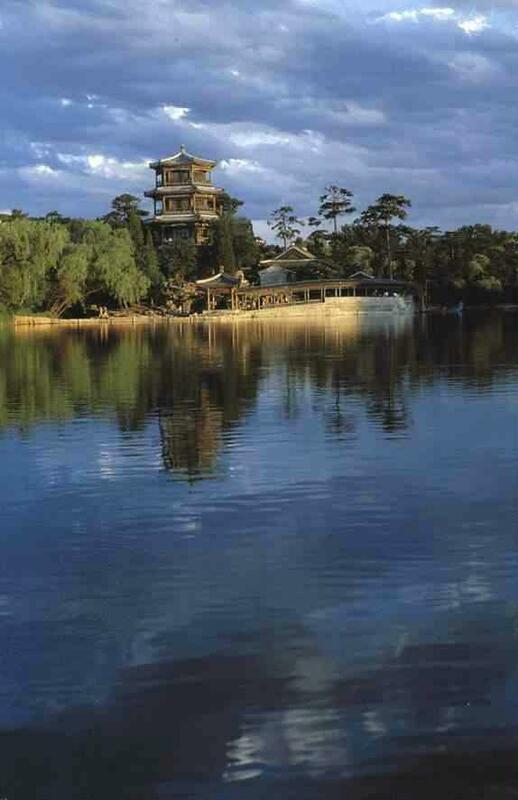 The Mountain Resort ( the Qing dynasty's summer palace ), located in Chengde City, Hebei Province, covers an area of 564 square meters, almost half of Chengde‘s urban area. It is enclosed by a wall 10,400 meters long. Construction began in 1703 under the rule of Emperor Kang Xi and was completed in 1790 under the rule of Emperor Qian Long. There are more than 100 buildings within the resort, which is divided into two sections: palace zone and garden zone. The gardens are superbly designed to take in the very best of various styled gardens.